We will never share or sell your email address. You will be added to our mailing list and sent regular free content containing elite level training tips and advice. You can opt out at any time. Jeff Cavaliere MSPT, CSCS served as both the Head Physical Therapist and Assistant Strength Coach for the New York Mets during the National League East Championship 2006, 2007 and 2008 seasons and coached some of the game’s most accomplished players including future hall of fame pitchers Tom Glavine and Pedro Martinez, and perennial all-stars Carlos Delgado, Carlos Beltran, David Wright, Jose Reyes, and Billy Wagner to name just a few. He is a Certified Strength and Conditioning Specialist by the National Strength and Conditioning Association (NSCA). WANT A COMPLETE TRAINING SYSTEM? Our 90 day starting point for athlean training. Build ripped, lean athletic muscle by training like an athlete. Training camp is open! 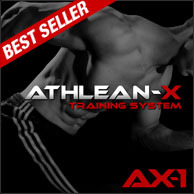 Pick up where AX-1 leaves off and take your training to the X-treme! 12 New training phases designed to push you to your limits. Put your shirt sleeves on notice! In just six weeks you could pack 1″ of muscle mass onto your arms. 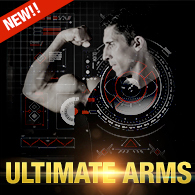 Ultimate Arms has arrived! 1. Please consult a physician and follow all safety instructions before starting any training, exercise of conditioning program. 2. As with any program there is risk of injury and lack of success. 3. Every effort has been made to accurately represent our products, services and their potential. 4. Each athletes success depends on their dedication, commitment, motivation and work ethic. 5. No Guarantee of success, results, or level of achievement can be made. We here at athleanx.com are committed to providing you our visitor/user with a safe and reliable website experience. 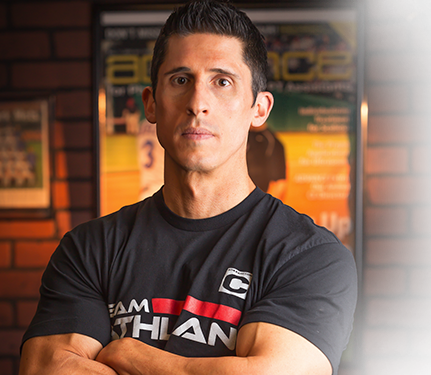 Coach Jeff Cavaliere (the owner of ATHLEAN-X™ and Sports Performance Factory LLC) and staff have conducted all steps possible to verify the testimonials and reviews that appear on this site. That said, as with all fitness programs, the best results are not uncommonly correlated with the best efforts, discipline, diligence, and so on, and therefore the results depicted and featured cannot be construed as common, typical, expected, normal, or associated with the average user’s experience. Results, as always, will vary from individual to individual for these reasons and you are responsible for understanding that atypical outcomes may not reflect your experience.